There is a very simple formula you can use to secure free, national coverage by media outlets throughout the United States. Few PR professionals are aware of it, but those who use it are wildly successful. It’s called … seriously? You know there is no silver bullet to successfully enhancing your business’ reputation. It takes hard work, planning and no shortage of skill and dedication. 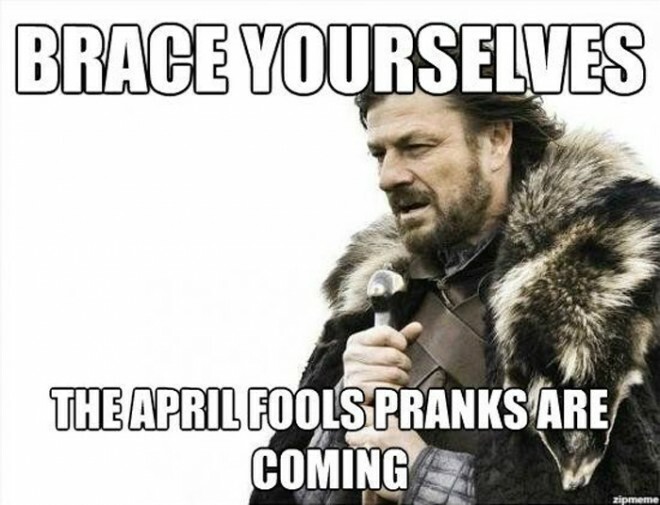 In any event, everyone at Kimball Communications wishes you a very happy April Fool’s Day. This entry was posted in pr and tagged April Fool's Day, April Fools, funny, Game of Thrones meme, humor, joke, meme by Rod Hughes. Bookmark the permalink. I'm a writer, bibliophile, witty wordsmith and generally a commentator on the world around me. Professionally, I am a partner and vice president of a Greater Philadelphia-based public relations agency that helps businesses get their messages out into the world in a positive, effective way. Kimball Hughes Public Relations also specializes in helping organizations manage crisis communications situations. Contact me at rhughes@kimballpr.com.